With the launch of the new intranet, there is now one internal digital work environment for the 6000+ employees. 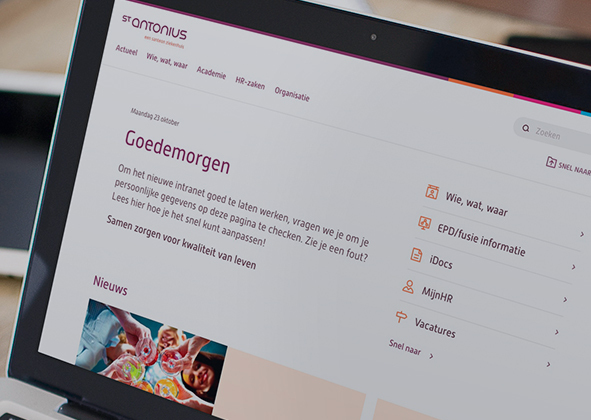 St. Antonius Hospital today launches the new intranet for the top-medical education hospital. The hospital developed the new website for all its locations together with One Shoe. With the launch of the new intranet, there is now one internal digital work environment for the 6000+ employees. One Shoe and St. Antonius Hospital have developed a new, modern digital work environment that facilitates, connects and inspires employees in their (daily) work. 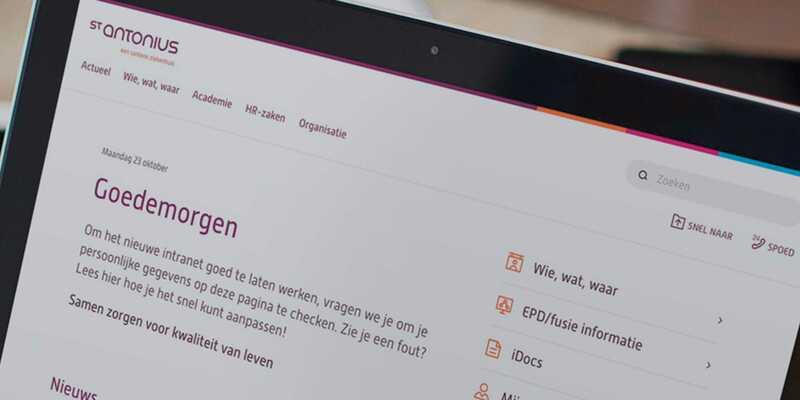 Employees from all departments of St. Antonius Hospital can now quickly access their commonly used systems and find information relevant to them, including, for example, News and Agenda items, the Electronic Patient File, Document Management, HR Area, and more. Furthermore, the digital work environment for each employee can be customized with a selection of the own top tasks that can be set from a library. Every employee is welcomed with a personal welcome message every day. In the coming period, the intranet will be further expanded and developed, both in terms of functionalities and content.